Converted to a very high standard by the present owner, this spacious barn dates back over one hundred years. Surrounded by glorious open countryside, this barn is detached within a large lawned area, has lots of parking for cars and makes an ideal holiday home for families, sensible groups or a romantic and relaxing break. 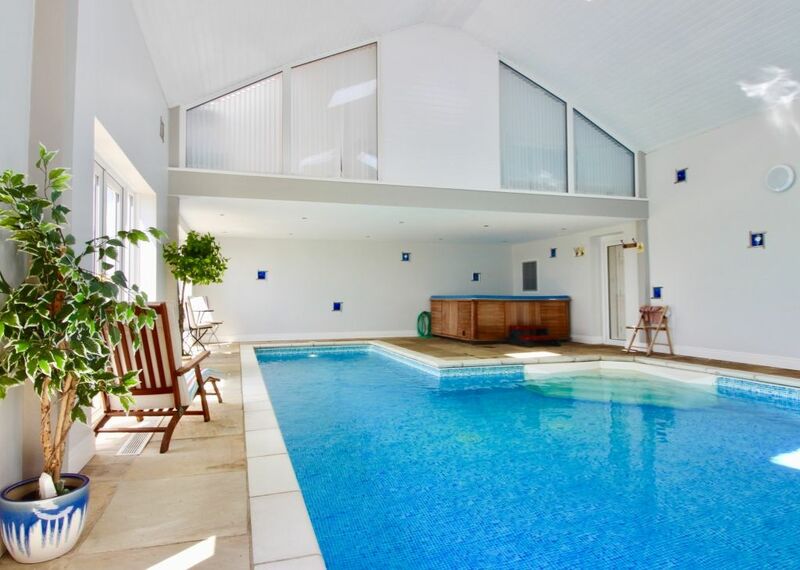 The indoor heated swimming pool with large hot tub is attached to the property and has magnificent views over to the Yorkshire Dales. Catley Hill is ideally positioned to visit a number of great towns and cities being only 9 miles from Durham City, 20 miles from the popular quayside in Newcastle upon Tyne, 10 miles from Hartlepool Marina and Historic Quay and just over an hour from the beautiful Northumberland Coast as it is from the Yorkshire Dales and the North Yorkshire Moors. So whether you wanted to stay at home and relax in our luxurious facilities or take a trip to one of the many interesting and nearby attractions, it is up to you. Lovely stay, children’s swimming well improved. Well equipped house everything you need on hand, towels and linen all good quality defiantly recommend. Group of ladies stayed at the weekend and we had a blast. It was brilliant! The Barn has everything you could ask for. Swimming pool and hot tub were fantastic. Spotless and everything you need. We will be back. Thanks so much. I would highly recommend this property to anyone wanting a luxurious escape or weekend break with family and friends. The property was very clean with high quality furnishings and the kitchen was fully equipped with everything a group would need. The pool and hot-tub just added the final touch to an amazing retreat, bath robes supplied!! This was our 3rd time at the Barn and it won’t be our last ! Located five minutes from the A1M Junction 61, Catley Hill is only 10 minutes drive from beautiful Durham City with its wonderful Cathedral, Castle and river, 15 minutes from Hartlepool with its Marina, Historic Quay and Seaton Carew beach,forty minutes from the North Yorkshire Moors and Yorkshire Dales and 20 minutes to Beamish Open Air Museum, 30 minutes to the Metro Shopping Centre and 30 minutes to Newcastle upon Tyne. We are ideally situated. We are only 5 miles from Sedgefield which is a lovely village with several pubs and restaurants and a Country Park. Trimdon Village is our nearest village (1 mile) with a couple of good food pubs, a small supermarket, fish & chip shop and Chinese Takeaway etc. Morgans Field light aerodrome is situated approximately 1 mile south. Golf: There is a golf club at Sedgefield which is about 4 miles from Catley Hill which is open to all. It has a great driving range and good course. Next to the golf club is Hardwick Park which has a lovely walk around its lakes and nature trails.